And it was! 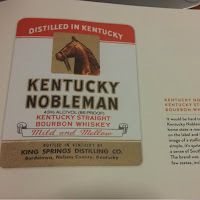 I was expecting the focus to just but on the labels different distilleries have used over time but it had quite a bit of history included as well. While Rothbaum doesn't have the most lively writing voice the subject matter kept my attention. 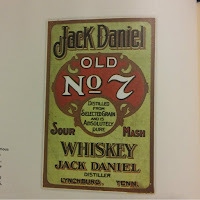 It was done in sections by decade(s) with a spot of history to open each chapter explaining life at the time, what the industry had been facing and similar then it dove into labels from those years with photos and brief little captions with each and then to close out each section there were a couple cocktails created or enjoyed during those years. 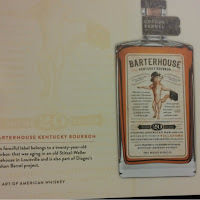 I loved the artwork and photos included. Both labels and black and white historical photos. They're not all crisp but that's to be expected. 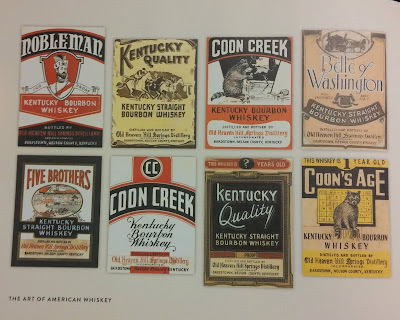 It was neat seeing labels change over the years. Seeing the designs and how world events and laws influenced the industry and it's art. Why there are lower proofs now days. 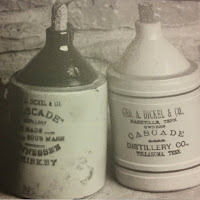 What they did to survive Prohibition and becoming a "medical" whiskey. 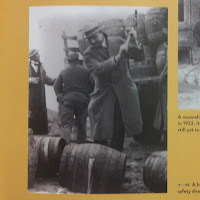 They've struggled something fierce since the late 1800s. Prohibition, The Great Depression, Wars, etc. It's an industry with an incredibly rocky past and that's been hit hard time and time again with many having to close doors because of it but that's resilient as hell. Whew. This is a smallish hardback that's a little larger than a trade back book. It's got a coffee table vibe to it. An interesting look into a tiny slice of American history and all it's been through. I gave it 4 stars. 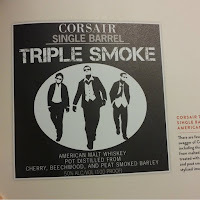 Do you have a favorite type of Whiskey? 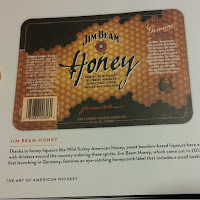 Or drink/food that includes Whiskey? 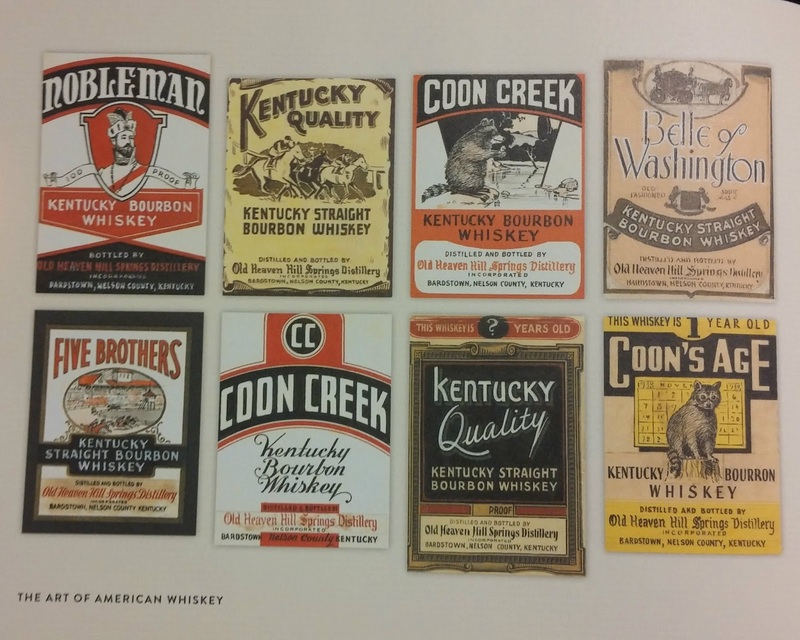 Just as wine is to the French or beer is to the Germans, whiskey--especially bourbon and rye--is an integral part of the history and culture of the United States. 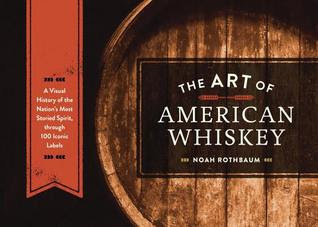 The Art of American Whiskey traces the arc of this beloved, renowned spirit--from its earliest days in the Colonial era, through the Civil War, Prohibition, Great Depression, and up to the current craft-distilling boom. 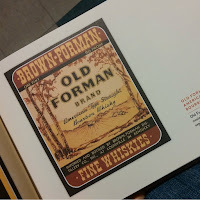 Illustrated with 100 full-color modern and historic labels from the most iconic bottles ever made, The Art of American Whiskey is an instant collectible and a fantastic gift for any whiskey enthusiast or design lover. 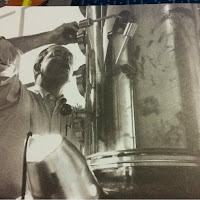 Captions, sidebars, profiles and short histories tell the story of the pioneers and places behind the labels, and each chapter features era-appropriate recipes from all-star bartenders and cocktail experts that will tickle any tippler's fancy.